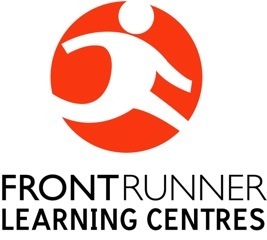 Welcome to Frontrunner Learning Centres providing professional tutoring in Frenchs Forest and Mona Vale for over 17 years. Our tutors are here to see that our students Get in Front and Stay in Front. This is a place where tutors encourage, motivate and make a really positive difference. Of course our qualified tutors do more than just set tasks and correct the work. They engender a love of success in the now so that our students believe that they can achieve. Our tutors develop great attitudes that create great results. That’s why we are successful educators. Frontrunner Learning Centres offer an initial free diagnostic educational assessment so you know exactly what your child needs in tuition. We facilitate real learning for school-aged children with the fundamentals that they need most in school. Students receive professional and caring help them in Mathematics, English, Reading, Spelling, Comprehension, Grammar, Listening, Speaking and Writing. With the active support of paediatricians, speech therapists, behavioural optometrists, dieticians and other health care professionals the Frontrunner tutors provide a caring environment that’s helps your child achieve her or his own personal best and really enjoy success. An integral service Frontrunner Learning Centres offer is Readbetter with Cellfield; much more than a simple reading programme. Readbetter with Cellfield is a research based dyslexia treatment that increases visual and auditory processing speeds. It opens and establishes neural networks working to levels deep in the parietotemporal lobes, the occipitotemporal and the anterior system in the left inferior frontal area of the brain. Readbetter with Cellfield uses brain plasticity and clever computer science to synchronise information and deliver it directly where it is needed, quickly and efficiently. We do more because we’re extensively and intensively trained and vastly experienced. We do more than just tutor.